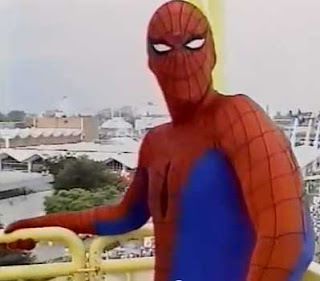 Spider-Man bungee jumping makes about as much sense as Fred Astaire line-dancing. But then again, there’s little sense in everyone’s favorite Webhead riding the hood of a racecar or using an elevator (see “Web Stock” and “I Slept with Stan Lee,” respectively). 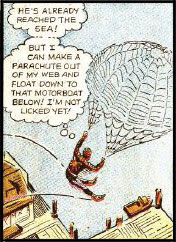 It’s just that when you have a character whose preferred mode of travel is swinging from a strand of homemade webbing, the idea of him plummeting with an industrial strength elastic band tied to his ankles seems a bit… well… anti-climactic. But of course, I speak from a position of being Spider-Man. In a world where the beloved Web-Slinger doesn’t exist, where the average Joe has no hope of actually witnessing the red-and-blue idol of millions spanning the skyscrapers of the Big Apple at the end of a silk thread, then being privy to a bungee-jumping man in a Spider-Man suit may be the next best thing. In the case of my performing the stunt as the Wondrous Webster, I was more of a puppet on a string. I had little, if any, say in the matter. And quite frankly, I was scared shitless, which may not sound surprising until you learn that I’d jumped out of a plane less than ten years prior! 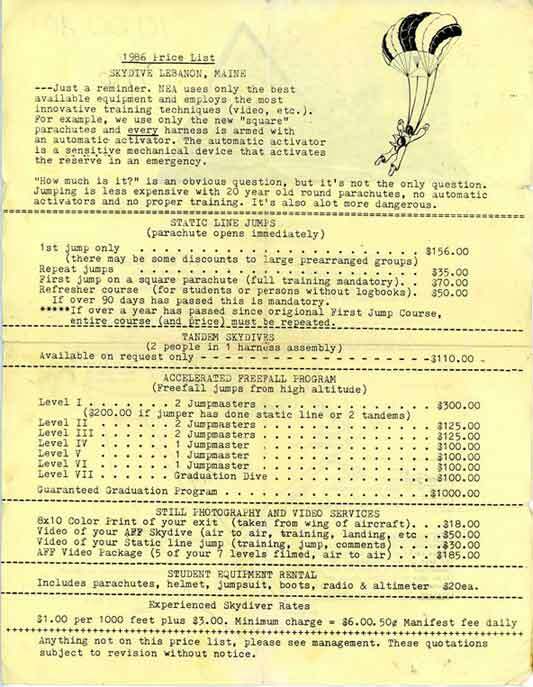 The idea to jump out of a plane may have come from a New School catalog. 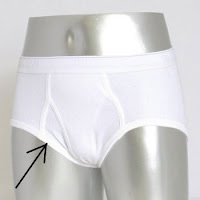 Unsure whether these exist throughout the U.S. or only in larger metropolitan areas, but they can be found in New York City as well. The New School catalog is a magazine-size listing of learning opportunities—for lack of a better way of explaining the catalog’s kaleidoscope of offerings—available in the city. On average, the teachings are of the more esoteric variety, like theoretical canoeing or pet psychology, but there were also adventures such as white water–rafting and skydiving. 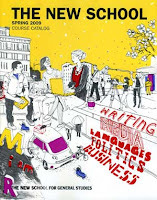 The catalogs are free—though the courses therein are not—and freely distributed via boxes similar to newspaper-vending machines. As I dredge the murky depths of this story, a clearer vision of Chris excitedly bringing my attention to the sky diving class in the New School’s pages manifests. An outfit in southern Maine, called Skydive Lebanon, offered the course, which included training and one static-line jump, for $156. 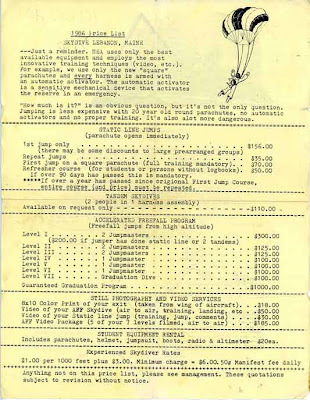 The fee wasn’t cheap for a graduating college student in the era shortly following Orville and Wilbur’s historic flight at Kitty Hawk, but soon Chris had my promise to join him in the endeavor after graduation before we began our lives in the real world as adults.